The C4 Corvette hasn’t garnered much attention in recent memory. At the time, it was a revolutionary update to the C3 Corvette, but even today, prices remain fairly low for standard C4 Corvettes. Of course, there’s one outlier, and that is the C4 Corvette ZR-1. At the time, the C4 Corvette ZR-1 boasted supercar specifications. Its dual-overhead cam, 5.7-liter V8 engine produced a whopping 375 horsepower and would scoot down the quarter-mile in just 12.7 seconds. Not bad for the early 1990s at all. And, guess what? They’re starting to really climb in value, which means now is the time to buy one. According to Autoblog’s research, Hagerty’s value tool pegs concours condition 1990 Corvette ZR-1s to fetch $46,000. That’s not exactly affordable, but ZR-1s in category three condition–not perfect, but not junk—fetch just $23,000. Later ZR-1s built sell for even less. That truly makes it a pretty excellent time to pick up a Corvette that is becoming more sought after by the year. Research shows prices ultimately bottomed out a couple years ago and ZR-1s have been appreciating in value ever since. Consider this your forewarning: the C4 Corvette ZR-1 is poised to be highly collectable in another 10 years. As for regular C4 Corvettes, they’re bound to increase in value as well, though likely not in the strides the ZR-1 will see in the coming years. With the interest this posting generated, I think we have a ways to go for the ZR-1. Locally, I find that regular C4’s and C5’s rising slowly in price as are later Gen-3 Camaro’s and late(98′-2002′) gen-4 Camaros. For all buyers of these cars,, C4’s, and Camaro’s, take your time and buy the best one you can find, it is worth the extra money. I recommend the 92′ and later C4’s and the same for Camaro’s. If your building a Gen’3_4′, Camaro, buy a solid car, even a V6 which will have suffered less abuse. We swap the LS, usually crate LS376′ engines and the Tremec, into these cars with suspension and chassis upgrades for Pro-Touring or track beasts. Usually caged and interior stripped and paneled in a aluminum with Recaros. 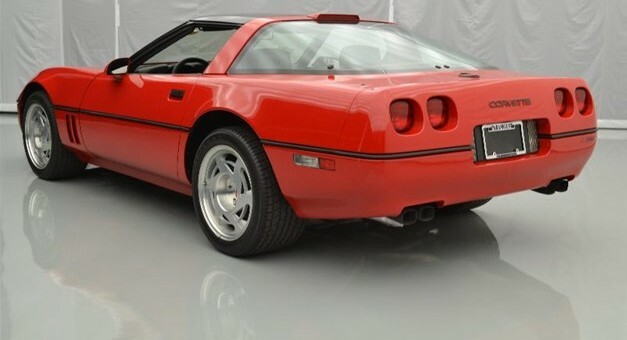 The only C4 in my opinion to buy as a investment grade car is the 90 ZR1. First year, better looking front lower valence and had the great bucket seats.